Beach Vacation On The Horizon? Clean Up Those Feet! So, you have the perfect beach vacation booked, only to realize that your feet are a mess. You have corns or warts and really don’t want to be walking around on the beach with your feet out in the open for everyone to see. Fortunately, there are some ways to treat your visible issues for a beach vacation. When you’re looking for a specialized foot clinic to help meet your needs, make sure you check online reviews and speak with the chiropodist in detail before you decide which clinic to visit. Your feet aren’t going to look their best if you don’t wear quality footwear. Improper footwear can cause you to walk abnormally, which leads to a host of serious problems for the whole body. You may even experience physical pain that’s often associated with abnormal gait. 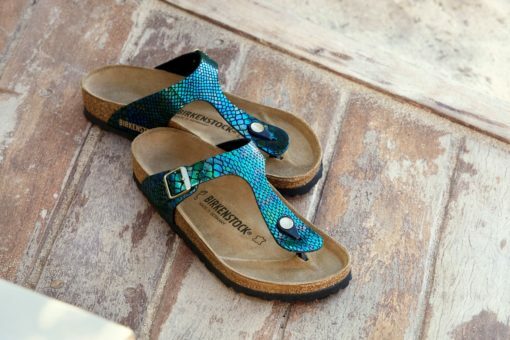 Before your beach vacation, make sure you invest in quality footwear – preferably a pair of sandals with sufficient arch support. This will help you walk correctly and improve the overall quality of your feet. Many people choose footwear based on how it looks or how much it costs, however, prioritizing fashion over function can be terrible for your feet. While wearing sub-par footwear on occasion is okay, you absolutely need to make sure that you are wearing quality footwear the majority of the time, or else fall victim to cumulative damage of your feet, knees and back. Your feet will not look their best if they aren’t receiving the proper amount of circulation. For most people, this isn’t a problem, but for those that have blood circulation and nerve pain problems associated with diabetes, it is quite the hassle. If you find yourself dealing with this issue, use compression stockings like the athletes wear. Compression scks will help your feet get the proper blood flow and decrease any nerve pain that you feel. Many people find that they feel relief on the same day that they start to wear compression stockings, as nerve pain is greatly diminished. One of the easiest ways to get your feet ready for a beach vacation is to get rid of dead skin cells and plantar warts. You can easily do this with a pumice stone – though you may need wart removal at a foot clinic. It’s best to soak your feet in warm water and then run the stone over your feet. Use the pumice stone in a circular motion to remove the most amount of dead skin. There are a couple of things you don’t want to forget on your adventure to the beach besides your foot care kit. Sunglasses are extremely important not only for protection, but for style! To stay cool, make sure you bring your insulated water bottle and most importantly, fill it half with ice and half with water! In conclusion, if you are going on a beach vacation there are some things that you can do to get your feet ready. You don’t have to wear sneakers all of the time and can enjoy sandals or even go barefooted if you make use of the above tips. Remember, it’s important to take care of your feet so that they not only look nice, but so you don’t feel pain and wind up having to sit out on activities like volleyball just because you are so uncomfortable. Next readingHow Do You Keep Your Children Active? Which Breast Implants are Best?